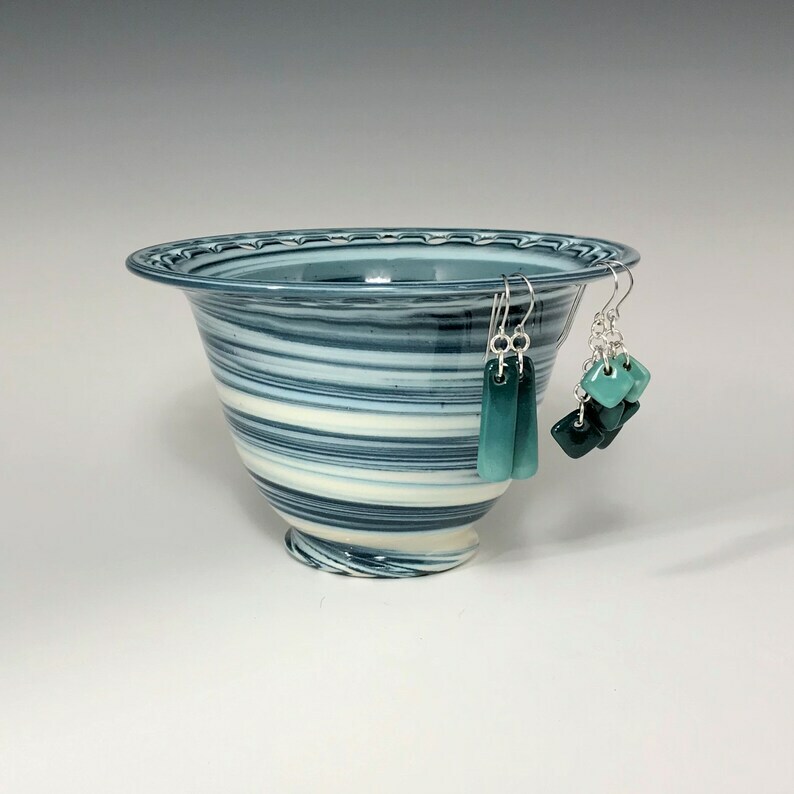 Porcelain earring bowl with teal, aqua, and creamy white porcelain clay finished with a clear glaze. 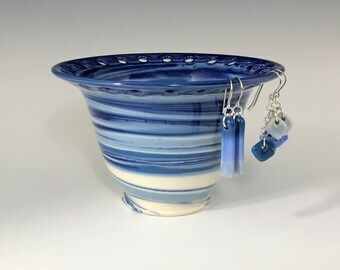 Twenty-four pairs of earrings can be hung around the rim, with studs and other jewelry stored in the bowl. This listing is for one teal earring bowl. 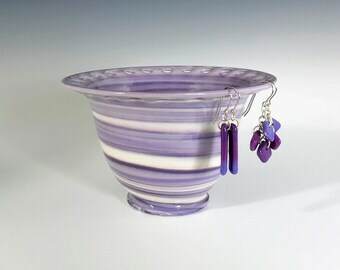 The handmade porcelain earrings and other bowls pictured are listed separately, if available. 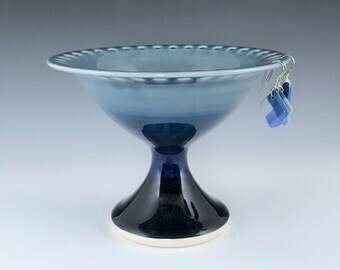 Size: Height 3", Diameter 4 ¾"